Residential building consents were issued for 1,946 houses and 474 apartments in November 2014, a 6.7 percent increase from the month before. More than 70 percent of all consents were related to Auckland and Christchurch builds, with Auckland alone accounting for 442 of the 474 apartment approvals. Auckland consents increased 24 percent to 967, with Canterbury consents rising 32 percent to 726. The Christchurch rebuild was a main driver behind the figures, with the Auckland Housing Accord also a major catalyst. Consents in old Auckland City represented 58 percent of all Auckland consents and 23 percent of the national total. According to Statistics New Zealand, earthquake related consents in Canterbury reached $70 million in November from a total of $340 million, with $55 million for residential building work and $15 for non-residential projects. The entire value of non-residential building projects reached $426 million in November, with Auckland accounting for $114, Canterbury $88 million, and Wellington $64 million. Office and administration buildings accounted for $155 million; with shops, restaurants, and taverns accounting for $61 million; and factories and industrial building accounting for $50 million. 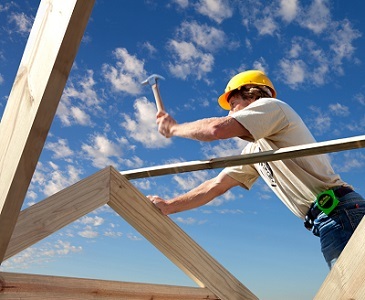 The construction sector is experiencing a boom due to rising consents, with growth forecast to continue throughout 2015. According to Building and Construction ITO chief executive Ruma Karaitiana, "The construction industry has been running hot for the past 18 months or so... The growth was initially fuelled by Christchurch but, in 2014, we saw a lift across the whole country... Christchurch will come to a natural peak soon but, with demand factors in Auckland forecast to be high beyond 2020." While a jump in building consents is great news for the construction sector and a welcome relief for many, any long term change to supply levels will take time. The Auckland Housing Accord was developed in 2013 as a possible long term solution, in an unprecedented collaboration between Auckland Council, the Government, and the development sector. Special housing areas have been developed over the last year, with swathes of urban land also rezoned for residential development. According to Housing Minister Dr Nick Smith, the Housing Accord has exceeded its target in its first year of operation: "It is good progress that 11,060 new sections and dwellings have been achieved in the first year – more than 20 per cent above the target of 9000. We will need to maintain this momentum and growth to meet the targets of 13,000 in year two and 17,000 in year three... It is also encouraging that house price inflation in Auckland has slowed from 14.8 per cent to 7.9 per cent over the past year. Our goal is to rapidly increase supply and to contain ongoing house price increases across the city."